The result6 provides an introduction to PMC and the huge benefits of ATL™ technology, the proprietary bass-loading system at the heart of all our designs. 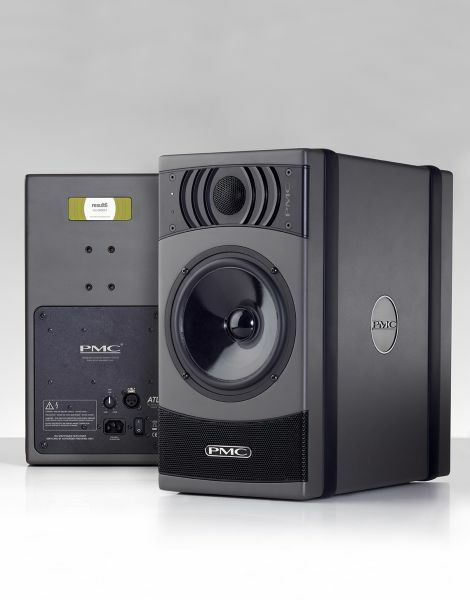 This active two-way reference monitor offers all the attributes for which PMC is world-renowned: high resolution and detail, accurate, extended bass, consistent tonal balance at all levels, and wide dispersion and sweet spot. With an emphasis on elegant simplicity, this is a compact nearfield that allows you to work faster and more confidently. There are no overly complex DSP-based user options or room profiles; instead, the result6 achieves its characteristically neutral, dependable PMC reference sound solely on the strength of its engineering. Honed to the fundamentals of our design philosophy, it’s devoted to getting you the best sounding results in the shortest possible time. The distinctive, finned HF driver surround on the result6 are known as D-Fins and they deliver major sonic benefits by widening the stereo sweet spot . The result is an excellent off axis response over a wider area. The D-Fins also eradicate the cabinet edge effects, ensuring high-frequency sound remains razor-sharp and unsmeared. You can change your listening position as you work without adversely affecting what you hear, and that the frequency response remains flat and natural-sounding. Frequenzweiche: aktiv, 4. Ordnung 24 dB/Okt.